This handsome hunk of a man, would be my hubby, Brandon, of 10 awesome years! One thing I love about this man is that he has such a serving heart. He has been such a wonderful provider for me and my little ones. He is very diligent, determined, driven, and very ambitious when it comes to the workplace. He holds the position of District Director of Operations, at TMX Financing, and has great influence within the company. He loves God with all his heart, and I admire his spirit of giving and how he has such a way of taking things in stride. 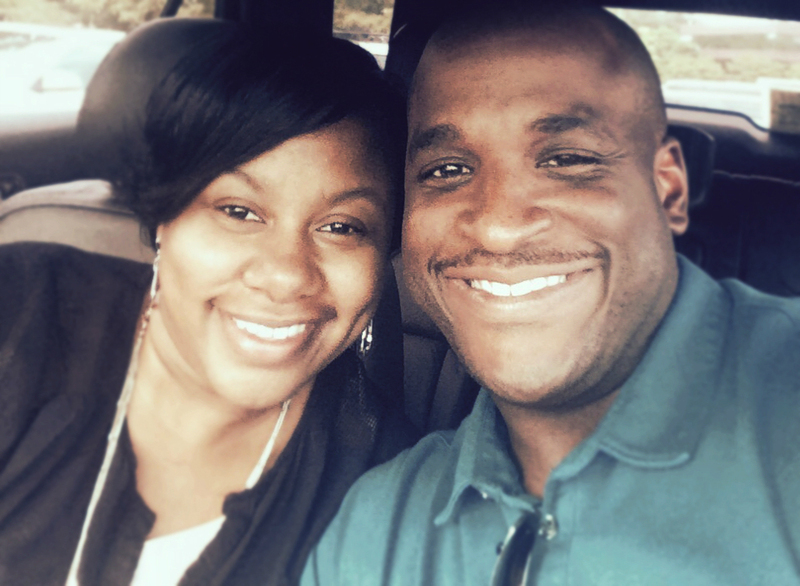 God knew exactly what I needed in a husband, which would prove to be a great complement. So for any single ladies that may be reading this, it pays to wait and let God do it! Sure we have bumpy roads, but the way God paired us, our personalities work well together in providing balance and what the other needs in helping those bumpy roads become smooth again. Marriage is a beautiful thing, especially when both parties are in it together for the long haul. Love you Babe!